The number one selling image editing software goes from strength to strength and Photoshop Elements 8 in easy steps shows how to use it to edit, display and share images in some truly stunning and original ways, for both PC and Mac users. 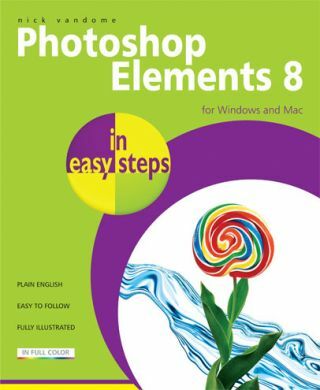 Editing digital images is at the heart of Elements 8 and this book covers it in depth. It looks at obtaining images, color enhancements and techniques such as skin tone adjustment, cloning and removing flaws and blemishes. 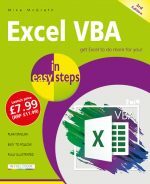 There are also sections on quick fixes and new features such as combining the exposure in different photos and resizing photos proportionally without distortion. It also shows how video can be used within Elements 8. Elements 8 is in a league of its own when it comes to sharing images creatively and this book covers its stunning features including, improved effects, color-coordinated layouts, animated slideshows, dynamic online galleries, photo emails and fun flip-books. It also shows how a variety of online services can be used to enhance, store and share images. Organizing images can sometimes be a chore, but this book shows how Elements 8 simplifies the process through the use of tags, collections, people recognition and an Auto-Analyzer that automatically tags your best photos. Photoshop Elements 8 in easy steps breaks new ground with both the fun and functionality of image editing and gives you the power to greatly expand your digital horizons.